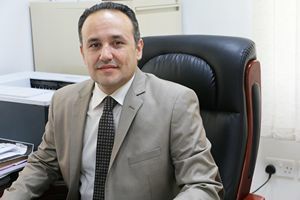 Samir M. Hammami is an Assistant Professor of Management Information Systems at the College of Commerce & Business Administration, Dhofar University located in Oman. He has more than eighteen (18) years of industrial experience, research, and teaching. He teaches several courses for PG, BA and UG levels at Dhofar University. Samir has received the best Faculty member award in the College of Commerce and Business Administration of the AY 2016-2017 at Dhofar University. Samir gains valuable experience from Dhofar University; he is currently serving as an acting director of the Community Service and Continuing Education Center since 2017, chairperson of the Center for Entrepreneurship since initiating since 2014 in addition to heading the Industry Engagement Committee since 2015 to present. Also, he served as an acting chairperson of the Management Information Systems department (summer 14-15 and summer 15-16). Furthermore, he is a mentor in the Omani national mentorship program of the public authority of SME development in Oman 2017/2018 and 2018/2019. Previously, he taught in several Syrian universities before joining Dhofar University in Oman 2014. Samir has 19 certifications from Microsoft including MCITP, MCSE+M+S: MCSA+M+S also he is an E. Business Consultant. He is also a member of the Association for Computing Machinery since 2003, PMI, Institute of Certified E-Commerce Consultants, and other related societies. E. Government, E. Commerce / Social Commerce, IT Governance, Knowledge Management, Internet of Things and Entrepreneurship. He has 19 certifications from Microsoft including MCITP: Enterprise Project Management, MCITP: Microsoft Certified IT Professional: Enterprise Administrator, MCTS: Microsoft Certified Technology Specialist, MCSE+M+S: Microsoft Certified Systems Engineer: Messaging + Security, MCSA+M+S: Microsoft Certified Systems Administrator: Messaging + Security. Also, he is an E. Business Consultant. Dr. Hammami is actively involved in research with publication in different Scopus/Web of Science/ISI indexed journals and Conferences. He has published a lot of papers in reputed journals and participated in several national and international conferences, seminars, and workshops. Samir serves on the editorial/review boards of various leading indexed journals. Samir has been an active member of various university and college levels committees. Acting director of the Community Service and Continuing Education Center since 2017. Chairperson of the Center for Entrepreneurship since initiating since 2014. Head of the Industry Engagement Committee which is a college-level committee which encourages academic-research-industry engagement since 2015. Mentor in the Omani national mentorship program of the public authority of SME development in Oman 2017/2018. Head of Jury of the first competition “An Entrepreneur and an Idea 2016” for Dhofar University students, Oman, Dec. 2016. Keynote Speaker in the “The First Strategic Forum for Establishing SMEs in Oman” at Omani Chamber of Commerce and Industry in Dhofar, 22 March 2016. Acting chairperson of Management Information Systems department (Summer 15-16). Acting chairperson of Management Information Systems department (Summer 14-15). Department Faculty Recruitment Committee for DMIS department. Al-Rafd Projects Evaluation Jury (Dhofar Region 2015) in Oman. Samir is affiliated with various international academic & professional organizations like Association for Computing Machinery ACM (www.acm.org) and Microsoft (www.microdoft.com). Currently, he is teaching students of PG, BA & UG students in Business Administration, Dhofar University, Sultanate of Oman. He teaches several courses at Dhofar University like Database Development, System Analysis and Design, Business and Information Technology, Business Programming, Electronic Commerce, Management and Management Information Systems. Dr. Hammami is an academic advisor of MIS students, course/curriculum development (Like entrepreneurship course). He is also a member of the department’s curriculum development team of BA and Master in MIS. Also, he is a coordinator of several courses and has supervised students at the undergraduate and graduate levels in final projects at universities located in Syria and Oman. Besides of being a jury member.